A woman poses with her gun, dog and bagged ducks. Like most types of hunting, duck shooting is dominated by men. 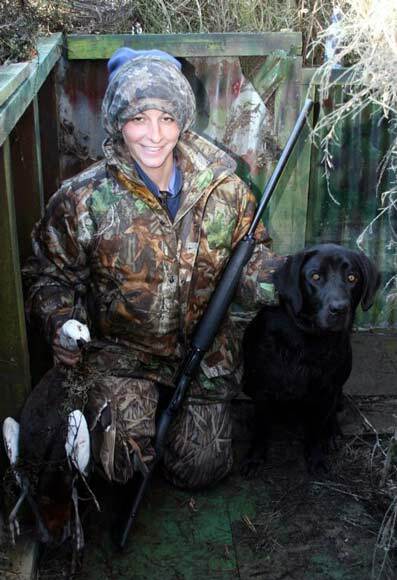 A small number of women are keen hunters, and Fish & Game New Zealand hopes to encourage more. Its ‘Becoming an Outdoor Woman’ courses are run by instructors who demonstrate skills such as shooting.